Apple is eager to prove that a subscription-only model is the way forward for streaming music, and that means speaking out against surveys that suggest otherwise. 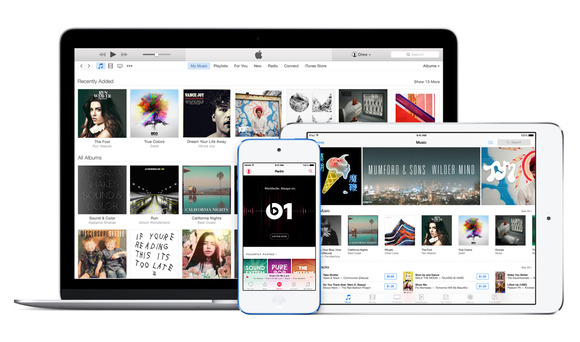 Apple has seemingly refuted a survey that found mediocre retention rates for the new Apple Music streaming service. The survey, from music industry research firm MusicWatch, claimed that 48 percent of U.S. customers who’ve tried Apple Music aren’t using the service anymore. But in a statement to The Verge, Apple says the actual usage rate is 79 percent among all people who’ve activated their three-month free trial. It’s worth nothing that Apple Music is available in more than 100 countries, whereas MusicWatch’s survey covered only a “representative sample” of 5,000 U.S. consumers, ages 13 and over. The survey also wouldn’t factor in children under age 13 who are using the service as part of a family plan. Apple didn’t comment on other aspects of the survey, which found that 11 percent of iOS users are tuning in to Apple Music now. Strangely, MusicWatch claims that 64 percent of Apple Music users are extremely or very likely to pay for a subscription after the trial ends, yet at the same time, 61 percent have already turned the auto-renew option off. MusicWatch’s press release doesn’t explain these seemingly conflicting data points. Apple Music is a $10 per month (or $15 per month for families up to six people) subscription service that streams 30 million songs on-demand, while integrating with users’ existing iTunes libraries. It also includes Internet radio stations and the round-the-clock Beats 1 radio station, though these features are also available without a subscription. The service launched on June 30, with a three-month trial for all new members. The story behind the story: Last month, Apple reportedly told song rights-holders that Apple Music had racked up 10 million subscribers—a figure meant to show that Apple’s service was already competitive. The same rationale may explain why Apple has piped up to refute MusicWatch’s survey: Previous reports claimed that Apple has pressured the industry to abandon the “freemium” business model espoused by rival Spotify, which has 75 million active users and 20 million paid subscribers. For the music industry to turn its back on that model, Apple must show that most people won’t drop their subscriptions when it’s actually time to start paying up.